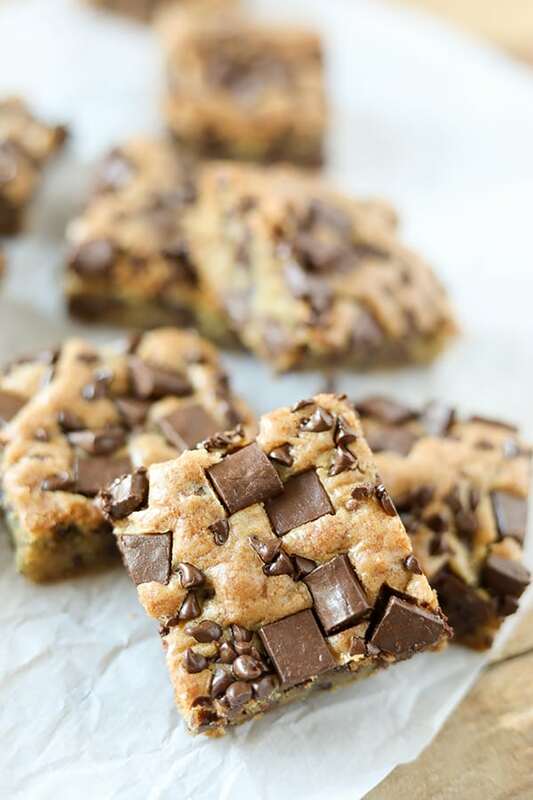 These Chocolate Chunk Cookies Bars are so delicious! 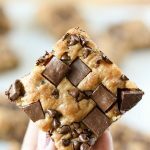 Rick chunks of semi sweet chocolate baked in a golden brown buttery cookie dough! 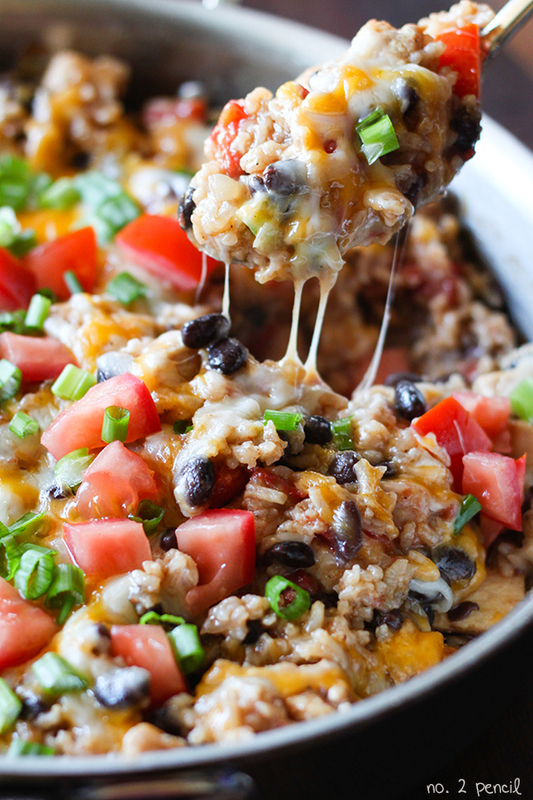 So simple to bake and perfect for feeding a crowd. The texture of the semi sweet chocolate chunks is outrageously chocolatey and delicious, definitely a hit with chocolate lovers! 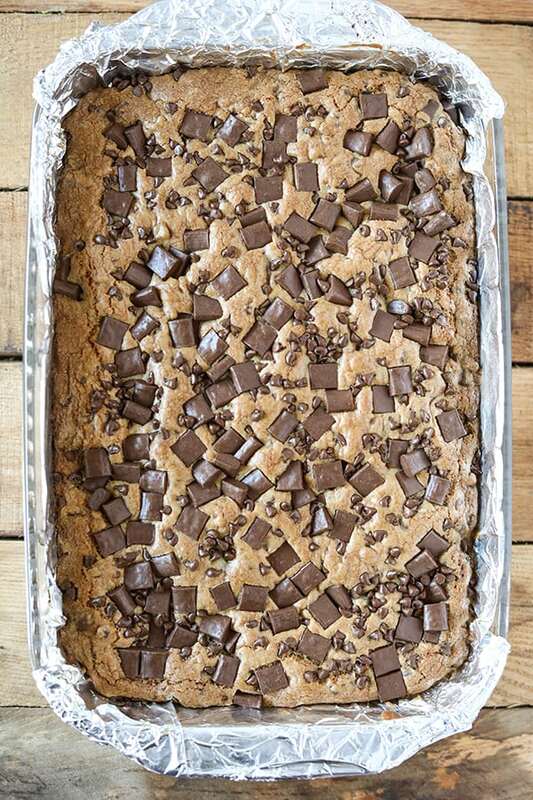 Start by mixing up the cookie dough. I like to use my stand mixer, since the dough is pretty thick. 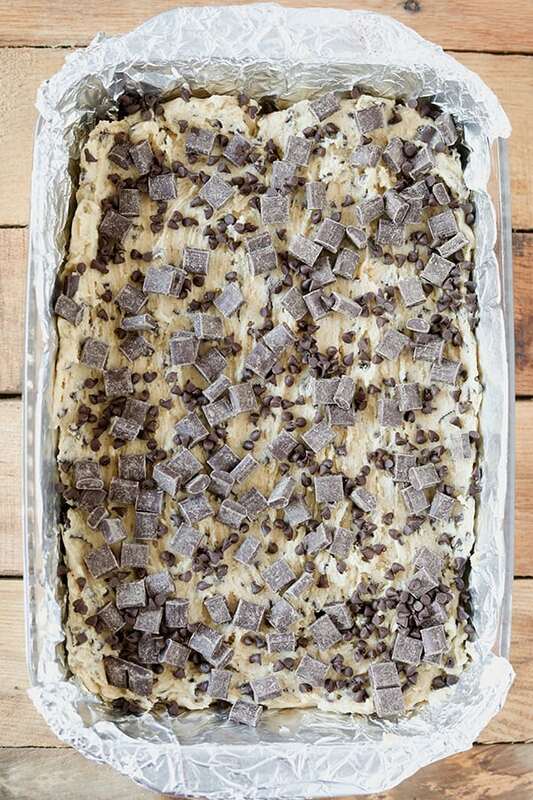 Transfer the cookie dough to the foil lined pan and sprinkle with more mini chocolate chips and chocolate chunks. 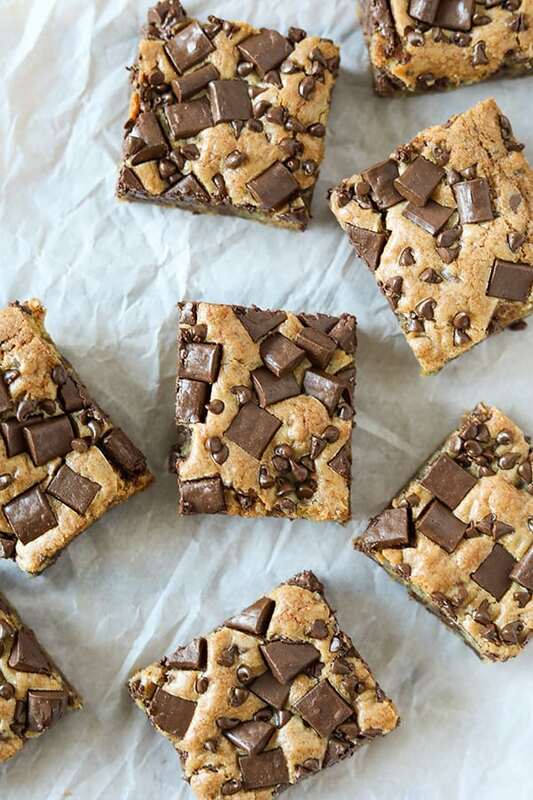 I really go all in with the chocolate chunks on top because I love the texture and the look of the bars once they are baked. 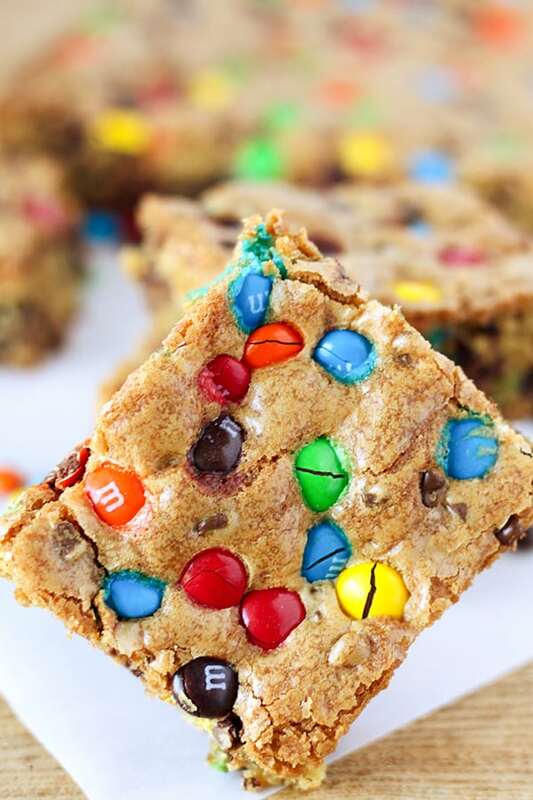 So rich and delicious! I like to under bake the bars just slightly and usually take them out right at the 30 minute mark. 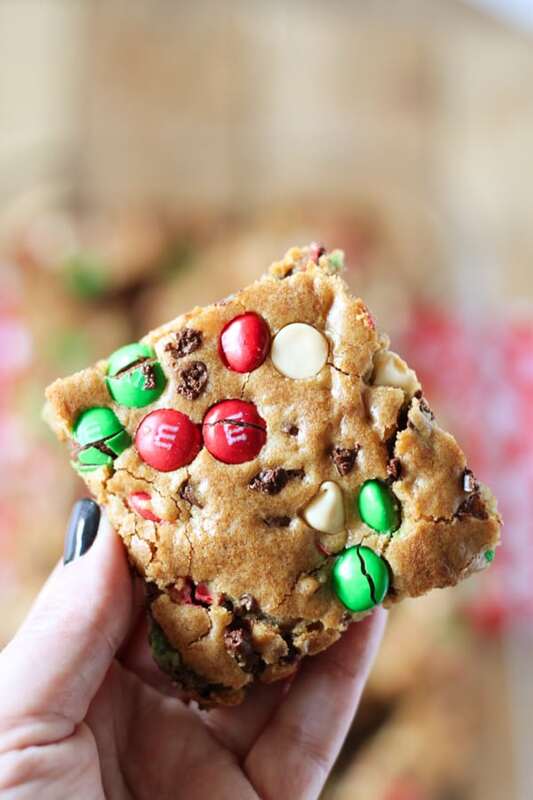 Add 1 cup of chocolate chunks and 1 cup of mini chocolate chips and give a final stir, reserving some chocolate chunks and mini chocolate chips for topping cookie bars. 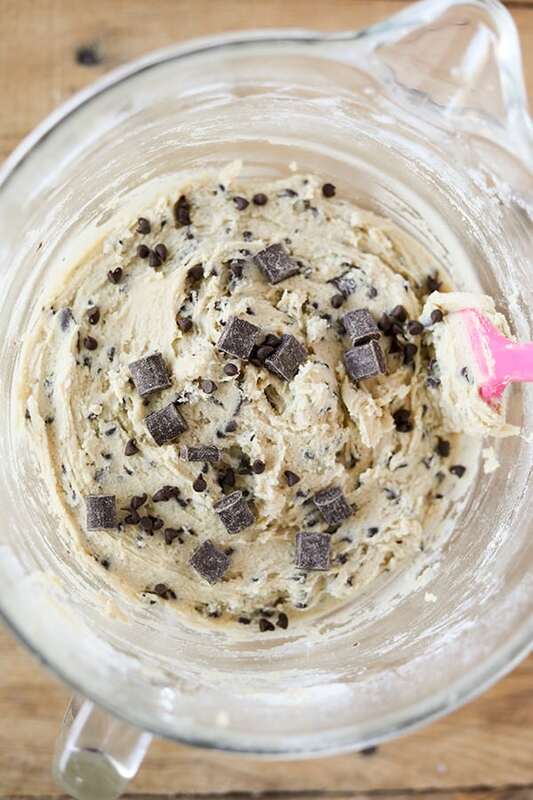 Press remaining chocolate chunks and a sprinkle of mini chocolate chips into top of cookie dough. Bake 30 to 35 minutes on middle rack of oven. Look really good and easy.